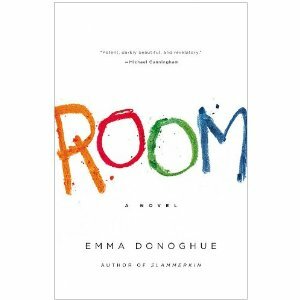 Room is a big novel about important issues, which is significant when you consider that much of it deals with captivity in a very small place. It begins in Jack's "Room", the small, soundproof building in the backyard of a kidnapper. Placed there with the express intent to hide someone, Jack's mother is the first unwilling resident when she is kidnapped and placed inside. In the small space is a bathroom, some basic cooking equipment, and a television. Over a period of years, she gives birth to Jack, and he too is kept locked inside. However, the captivity is even more significant: he's never seen the light of day. The only outside world he's seen has come from television cartoons and from the stories his mother tells him. The blurb on the book describes Jack being thrust out into the outside world, and I feel I need to say (here's my kind-of spoiler) that it means he and his mother escape. The reason I mention this is because I am not sure I could have kept reading the book without that development. While fascinating, it became plodding and a bit repetitive. I was about to quit when they escaped and the story enlarged to encompass Jack's assimilation into "normal" life. Once out, Jack and his mother are thrown into a media storm of exposure, especially difficult for a child in his position. One immediately thinks of a recent real-life kidnapping case with similar details, and it makes the story that much more painful. His mother's parents are thrilled to have her back, yet learning to live in this altered reality is as difficult for his mother as for Jack. Her parents have to learn who she is all over again, and at the same time, immediately care for and get to know this charming but difficult little boy. The return to people and places is fraught with complications, and no one, not even the psychiatric specialists called in to help, knows the ideal path to 'normalcy' for Jack. Why is this book so amazing? First, the depth of the mother's love: she manages to create, in great detail, an outside world for Jack. While only possessing a few old books, she spins stories, creates games, and tries to make the best of an impossible situation. She teaches him history, science, and scores of topics. She teaches him good and bad, and most of all, bravery. She does this without a break, and so could be called completely self-less. She doesn't dwell in pity, she puts her energy instead into making Jack a more empathetic and kind child than most in the outside world. As a character too, Jack is amazing. His sheltered existence makes him unprepared for the complexities of the outside...even normal weather events perplex him. Interacting with family and other people is equally difficult: he can't understand sarcasm, innuendo, or dishonesty. Room is getting a ton of buzz, and was nominated for the Man Booker Prize. It's a title that I wouldn't be surprised to see Oprah select for her book group, as it deals with a strong female character surviving tragedy. In other words, I expect this book is going to be seen everywhere for quite some time. In terms of content, it's worth noting that none of the unspeakable acts of cruelty by the kidnapper are actually discussed, only alluded to, which means this title would be safe for a young adult audience. In fact, I especially appreciated that much of the horror that you know was there isn't actually detailed. Special thanks to Little, Brown for the Advanced Review Copy. Thanks for this review. I have to admit I am still undecided about whether to read this, the subject matter really does not appeal and like you I have this idea that it would be a bit boring. I am glad to know that it is not explicit. 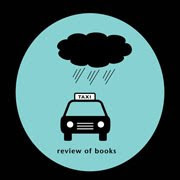 Thanks again for a great review, I enjoyed reading it - but I still can't decide whether to read the book. It seems a bit as if it is a cross between crime fiction and "commercial women's fiction" and the latter is not for me. This book sounds like a riveting, intense, sometimes disturbing experience. I was wondering what it was all about having observed this book in many places. Your review gave me a good idea of what's so special and unique about this book. Now to get a copy and experience it for myself! Thanks for an awesome review! Great review. I keep hearing great buzz about this one and I'm looking forward to it.